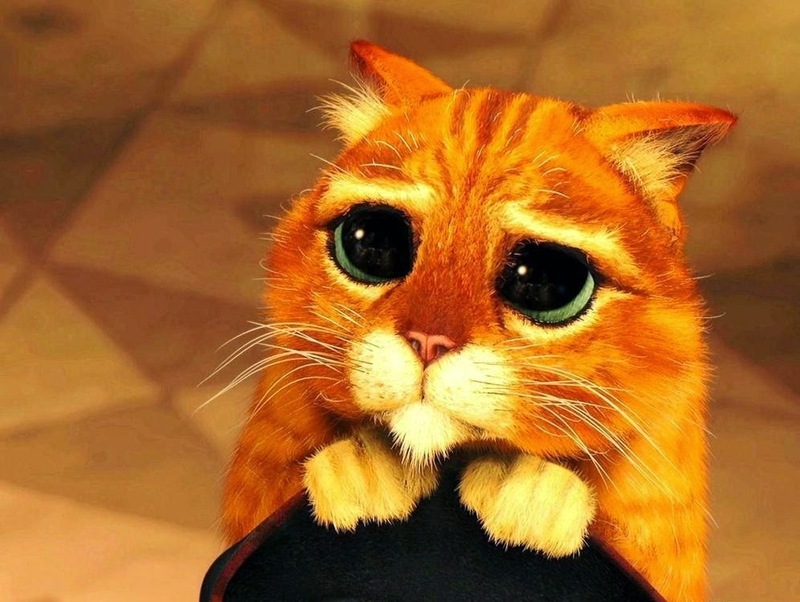 One of the most endearing animated feature film characters of recent years, Puss in Boots from the "Shrek 2" franchise film, is coming back. However, it won't be for a while, so don't hold your breath. There is nothing to show you yet because, well, it hasn't been made yet. This easily could be our only post on this project for several years, until something actually happens with it, so well, here it is. "Puss in Boots 2: Nine Lives & 40 Thieves" (that title easily and likely will change at some point over the years until release) is set to hit theaters most likely after you graduate from high school or college or leave wherever you are now and go somewhere else. In fact, if you are not yet in high school now, you could be nearly done with it by the time this comes out, same if you are not yet in college. That's a long time to wait. It has a tentative (that's the only way you can describe something like this that is over four years away) release date of December 21, 2018. The first "Puss in Boots" film was in 2011. 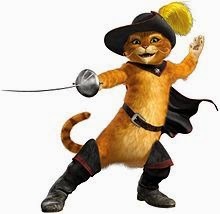 There have been a couple of shorts such as "The Three Diablos" and commercials and so forth since then, but no definitive word on another Puss movie until now. Puss isn't just idling away the time until then, though. Netflix is set to release some kind of Puss series later in 2014. Who is voicing the characters is still kind of a mystery. Whether or not the original "Shrek" characters will appear also is unknown - it will have been almost a decade since the last film in that franchise series, too. This is another case of a film the studio, in this case DreamWorks Animation, thought was only fit for video release and then changed its mind, creating a monster franchise. It is sort of along the lines of Disney's "Planes," though they were much quicker to capitalize on that film's unexpected success by cranking out "Planes: Fire and Rescue" only a year later. That sequel was considered kind of a disappointment, so we'll have plenty of time (plenty of time) to ponder whether DreamWorks' go-slow strategy with the Puss franchise makes better sense. In the original "Ali Baba and the Forty Thieves" tale, the hero discovers a cave where a band of thieves hide their treasure. He learns how to gain access to this cavern which is by saying the words 'Open Sesame'. After a sequence of difficulties, he goes on to avoid getting killed by the band of thieves and gets to keep the treasure. Whether or not that has anything to do with this film is an open question - they may not even have any kind of a solid script together at this point. 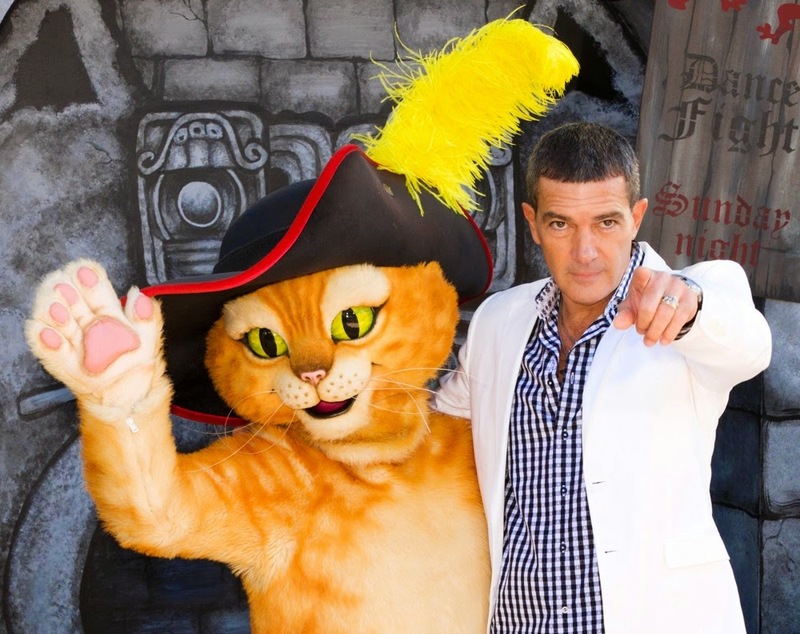 Antonio Banderas no doubt will be back to voice Puss as only he can. Maybe Salma Hayek will return, too.